Wagner Noël Performing Arts Center along with Jam Theatrical is proud to announce the seventh season of Broadway in the Basin Presented by Cristian’s Jewelers featuring six performances and two add-on performances. Season renewals are available now, new season subscriptions will go on sale Friday, June 15, 2018, at 10 AM CT, and individual show tickets will go on sale on Monday, November 19, 2018, at 10 AM, unless otherwise specified. Tickets and season packages are available at the venue box office, at www.wagnernoel.com, or by calling ETIX at 1-800-514-3849. A holiday entertainment blockbuster set to dazzle audiences of all ages. 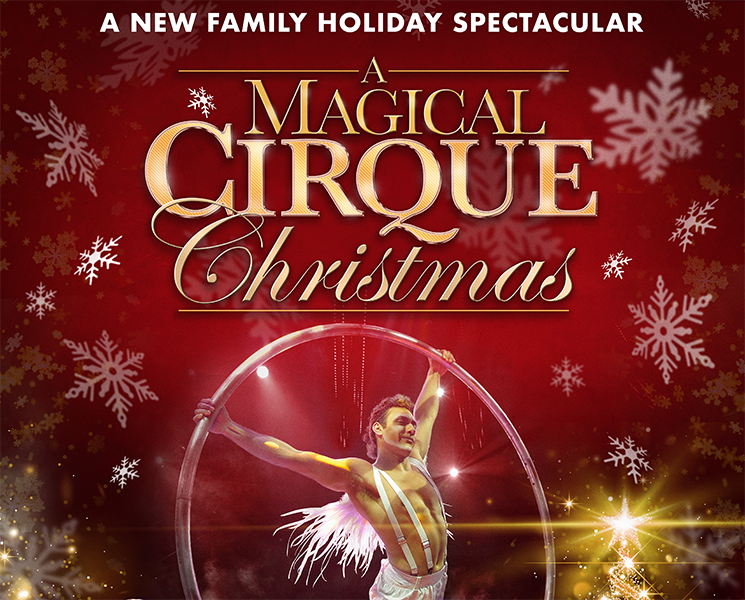 Featuring the best talent from around the globe, A Magical Cirque Christmas has it all – jaw-dropping magic, breathtaking circus acts, and the most angelic voices singing your favorite Christmas carols with incredible live musicians on stage. Be transported to the golden age of entertainment by the mind-blowing talents, stunning costumes, comedy and more. Christmas Wonderland Holiday Spectacular is quite simply one of the most delightful and enchanting Christmas shows ever, featuring glittering costumes, a dazzling cast, and the highest kicking chorus girls this side of the North Pole. Start Christmas in style as Santa and his merry helpers take you on an unforgettable nostalgic journey. Holiday favorite songs include White Christmas, Winter Wonderland, Have Yourself a Merry Little Christmas, Chestnuts Roasting, Jingle Bells, & many more. Fabulously fun and international award-winning Legally Blonde - The Musical is the ultimate Broadway tribute to Girl Power! The story follows the transformation of Elle Woods as she tackles stereotypes, sexism, snobbery and scandal in pursuit of her dreams, and proves that you can be legally blonde and STILL the smartest person in the room. This contemporary, sassy musical moves at a breakneck pace driven by memorable songs and explosive dances. Legally Blonde - The Musical warms the heart by proving that self-discovery can be way too much fun and hilarious to boot. Eva Perón enthralled a nation and enchanted the world. Her story unfolds in EVITA, the Tony(R) Award-winning Best Musical, a high flying theatrical experience adored the world over. Tim Rice and Andrew Lloyd Webber's groundbreaking musical captures the rise and fall of one of the world's most glamorous first ladies. Welcome to the ‘90s — the 1590s — long before the dawn of premium tickets, star casting, and reminders to turn off your cell phones. Brothers Nick and Nigel Bottom are desperate to write a hit play but are stuck in the shadow of that Renaissance rock star known as “The Bard”. With its heart on its ruffled sleeve and sequins in its soul, SOMETHING ROTTEN! is an uproarious dose of pure Broadway fun and an irresistible ode to musicals — those dazzling creations that entertain us, inspire us, and remind us that everything’s better with an exclamation point! From the director of Aladdin and the co-director of The Book of Mormon, SOMETHING ROTTEN! is “Broadway’s big, fat hit!” (New YorkPost). FINDING NEVERLAND is the Broadway musical that tells the fascinating story of how Peter became Pan. Based on the Academy Award®-winning film of the same name, it has been brought to extraordinary life by the team behind Shakespeare in Love, Chicago and Pippin.